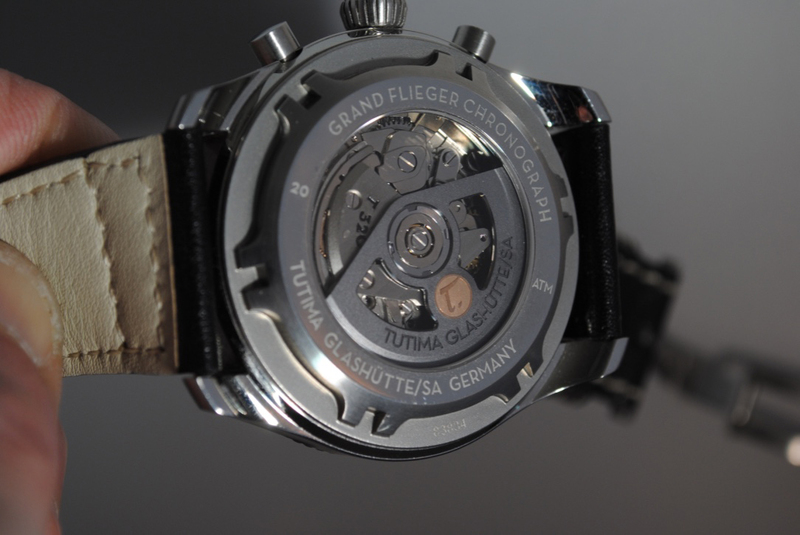 Tutima, derived from the Latin word for "safe and secure", was founded in 1927 by Dr. Ernst Kurtz in Glashütte. He headed both Uhren-Rohwerke-Fabrik Glashütte AG (UROFA) and Uhrenfabrik Glashütte AG (UFAG). In 1945, as Germany collapsed, Dr. Kurtz and some of his staff were able to flee to Western Germanyr shortly before the end of the war. The settled in Lower Saxony, in the town of Ganderkesee. 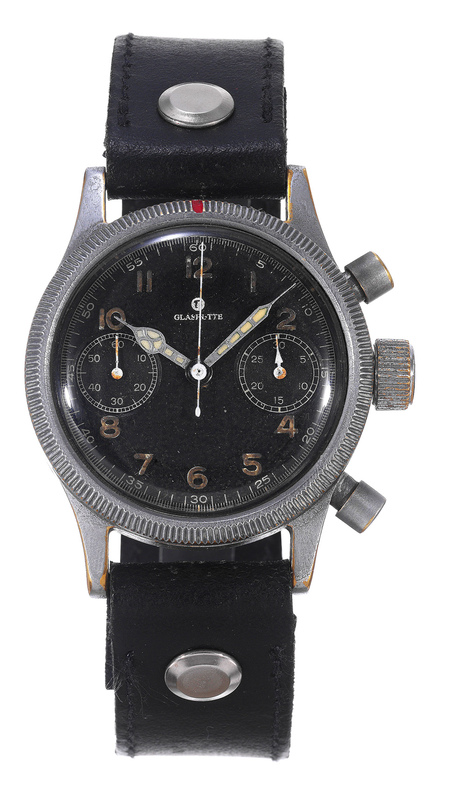 The firm continued along in the 1960's under Dieter Delecate, and in 1984, the North Atlantic Treaty Organization (NATO) slected the Tutima Military Chronograph Ref. 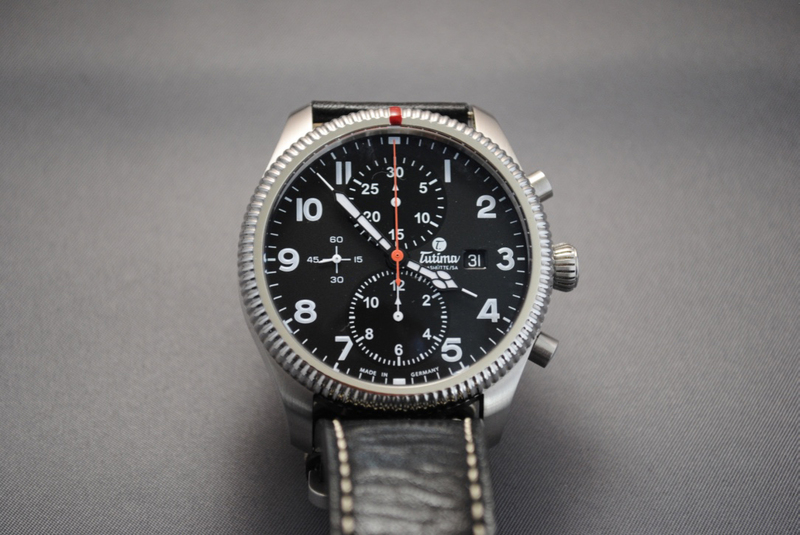 798 as the official pilot's watch of the alliance. 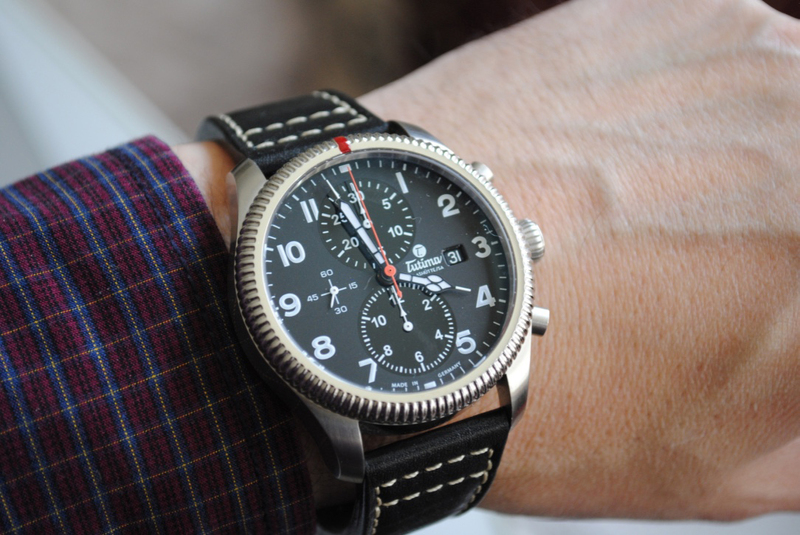 This model is a descendant of the legendary Tutima pilot's chronograph of 1941. 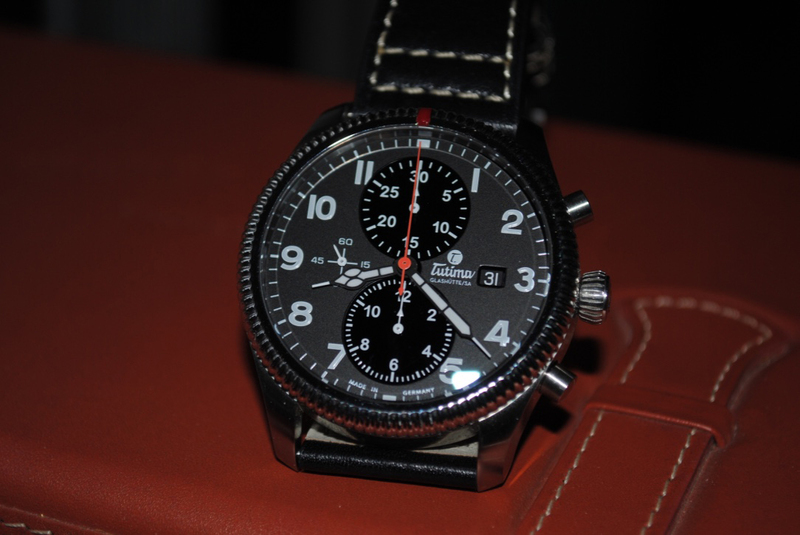 That one had the manual-wind UROFA caliber 59 and was the first German chrono to feature a flyback function. Today's watch has been updated with a larger case and an automatic movement. As someone who deals constantly with new and old watches, some make a positive initial impression, while others just fade away. This Tutima is one to watch, as it catches your eye right out of the box and does not let go. 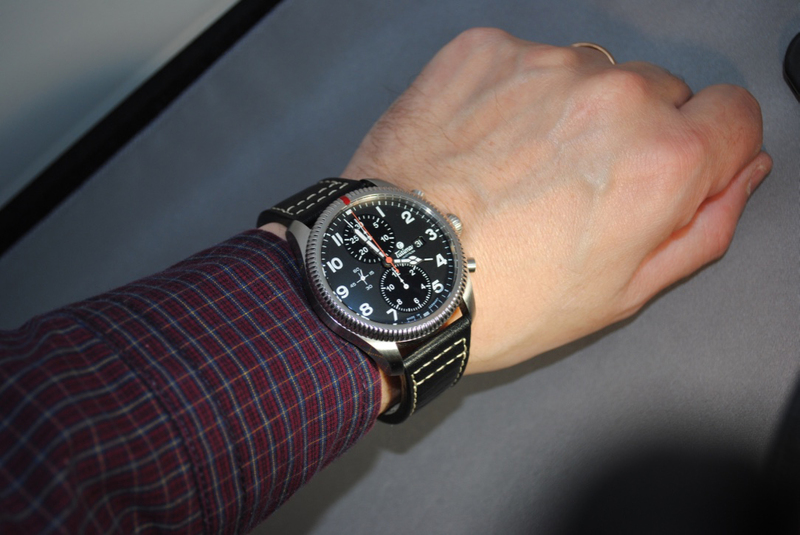 It is the sum of all the parts that make it a great chronograph. The attention to detail is very impressive while the quality of the materials and the fit and finish make it a true "Son of Glashütte" with its high standards. 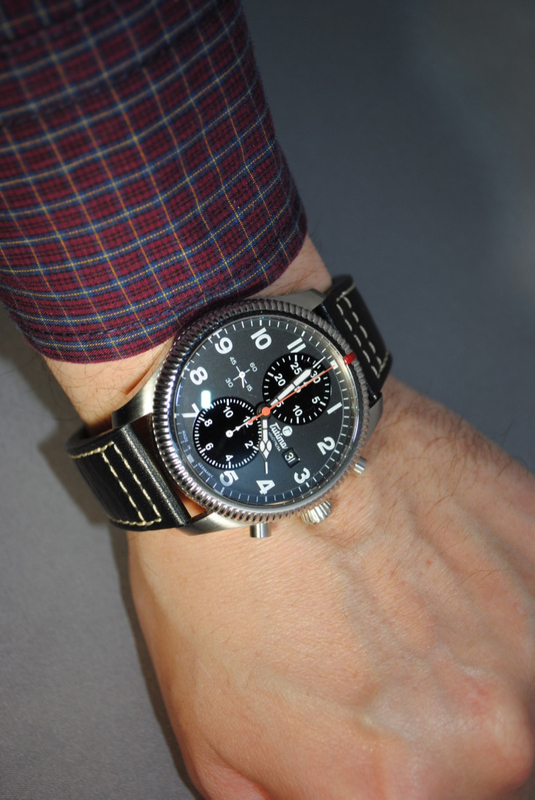 If you are in the market for a reliable and well styled chronograph, the Grand Flieger Classic will not disappoint. The case, in stainless steel, measures 43mm x 16mm. It has an AR-coated sapphire crystal, a sapphire display back, and it is water resistant to 200 meters. 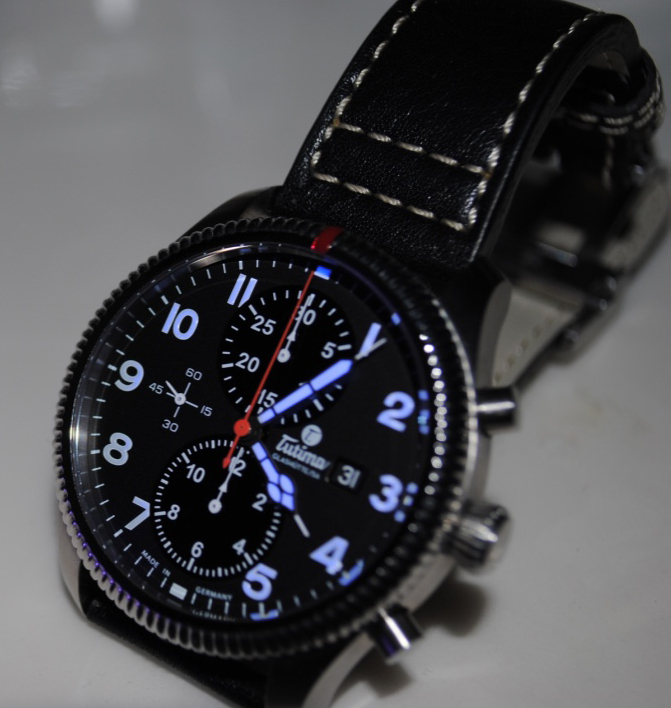 It features a screw-down crown and a bi-directional rotating fluted bezel with red reference marker. Movement is the Swiss automatic Tutima caliber 230 with 25 jewels, 28,800 vph and a power reserve of 44 hours. 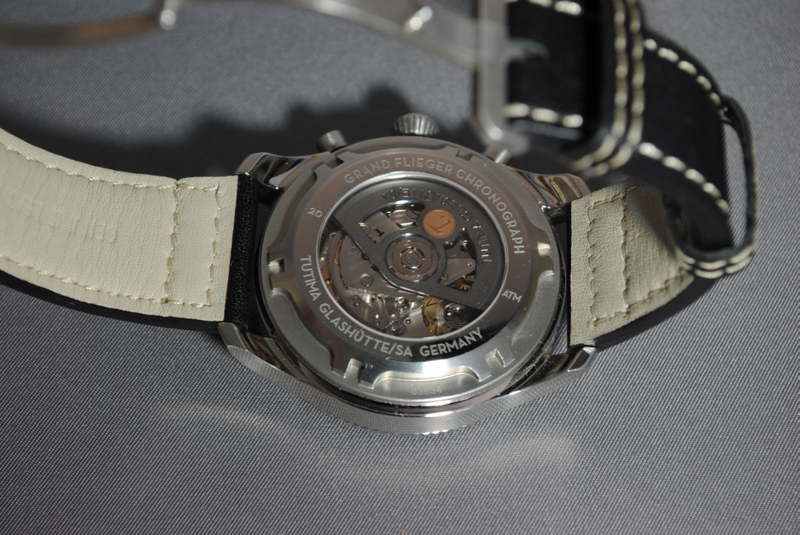 It features polished screws and the skeletonized rotor is done in antique grey with a Tutima gold seal. It is officially certified as a German chronometer according to DIN norm 8319. The dial is matte black, with slight grey overtones, that has luminous Arabic numerals, with gloss black subdials for the minutes and hours. The hands are "cathedral" style with luminous coating. 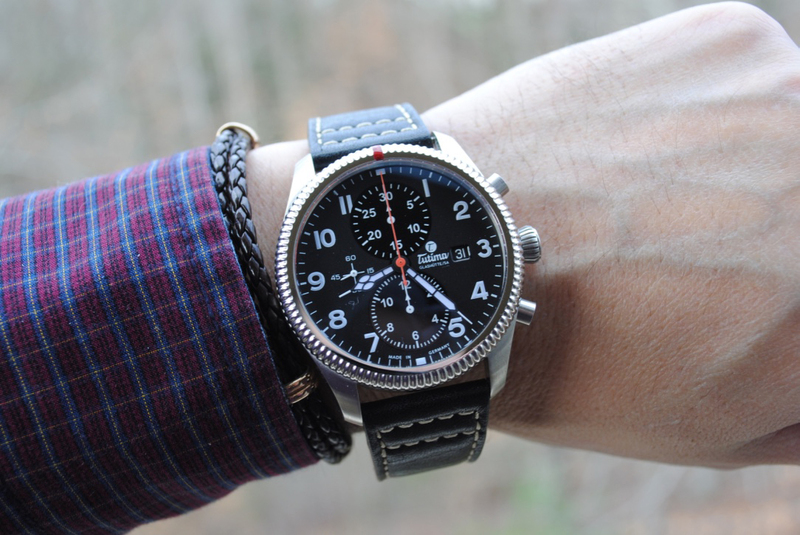 The center chronograph hand is red, whilst the sub-counters are white. 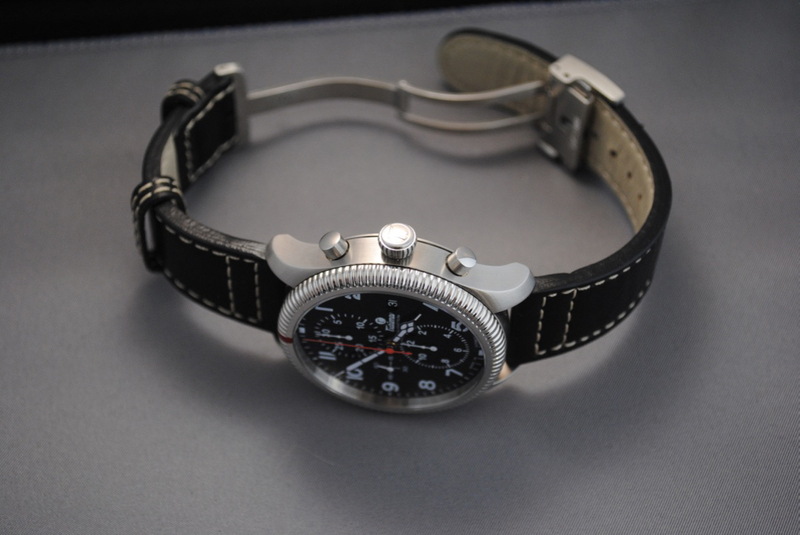 It comes on a 22mm dark brown leather strap with white contrast stitching and a steel deployant. A stainless steel bracelet, reminescent of the "beads of rice" style is also available.